Last Saturday will stay with me forever. It was September 5th, 2015 and I had traveled to Puerto Rico (3,600+ miles and over 10 hours) for the second workshop of the Semillas de Triunfo (Seeds of Success) STEM Ambassadors Program, in Humacao. 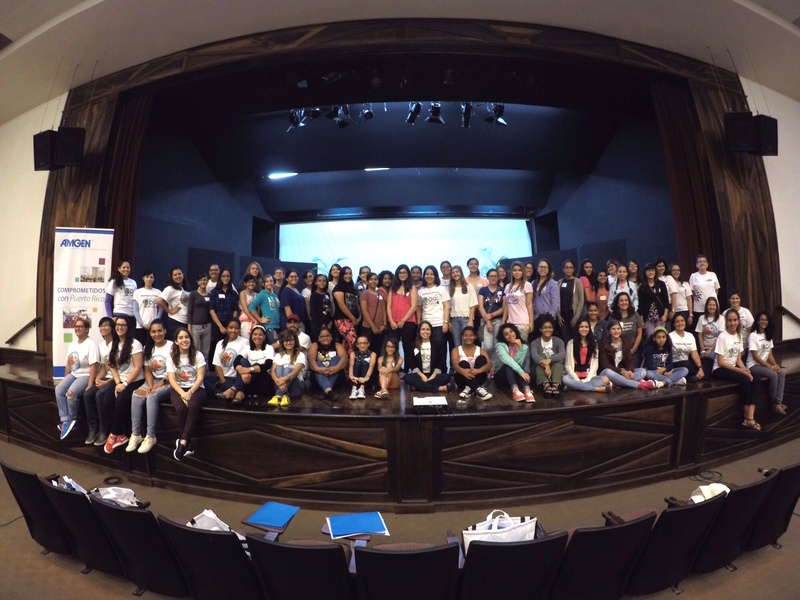 This program, created by Ciencia Puerto Rico in collaboration with Yale University and the Amgen Foundation, gives middle school girls the opportunity to learn about careers in science, technology, engineering and math (STEM) and explore how through these disciplines they can become leaders and agents of change in their communities. The program is near and dear to my heart and me and my colleagues have been working really hard on it (three workshops down, one to go). I could barely sleep the night before and woke up at 6:00 the morning of the workshop. My excitement and my expectations were high. I wasn’t ready for how much they would be exceeded. During the Q&A after a panel in which professional female scientists and engineers shared their journeys, successes and struggles, a girl got up to ask a very simple question: could someone like her, from a small town with very limited resources and access to science education opportunities, fulfill her dream of becoming a doctor? As she repeated the question, she broke down in tears (and so did many of us). The room rallied behind her. We embraced her. We let her know that she was not alone, and that WE—this community of borinqueñas of which she is now a part of—support her and will ensure that she achieves anything she sets her mind to do. Flashback to Tuesday of that week, to my Tío Paco’s retirement party. On this day, many of his colleagues and trainees talked about what made him an exceptional pharmacist and professional. They talked about his passion and sense of purpose. They talked about his love for mentoring and educating the next generations. Tío Paco was the first science role model I had. He is the only other person in my immediate family who pursued a career in science and who has a doctorate. I have always looked up to him for this, and also for his passion, his no non-sense approach, for his joie de vivre, and for his love for family and friends. On the day of my uncle’s retirement, what resonated with me the most was how his passion—for his family, for his job, for his vocation—had always been his guiding light. Back to Saturday. That moment—that girl crying on the microphone—made me see myself reflected in my Tío Paco’s example. That moment—that girl crying on the microphone—IS my passion, my guiding light. Giving back to my community and using science to empower kids, who like me once upon a time, don’t have a lot of access to opportunities is what makes me come alive.